Grado has always been a settlement the population of which, regardless of the accomplishments or the anonymity of its political history, knew the gifts of the sea should not be disregarded, at least from a gastronomical point of view. But before turning fish and seafood into a mark of local cuisine, the locals of Grado used these resources as a means of mere survival. Indeed, much of what is strictly typical of Grado cuisine is of poor peasant origins, but at present it is packed up and sold as must-try for all tourists with a constant interest for discovering new gastronomic horizons. Indeed, it is precisely fish and seafood that yield the specificity of traditional cuisine in Grado. Boreto, in full spelling boreto alla graisana or boreto alla gradese, with its several variations, is the very gastronomic symbol of Grado. Roughly speaking, it consists of a mix of different fish species deeply boiled in water and abundantly seasoned with salt, vinegar, garlic and pepper. Sometimes, certain species of mollusks can be added to enhance the consistency of the dish. Another culinary specialty that represents a must-try for gastronomically curious tourists refers to sepe sofegae. Basically, it comes down to a sort of cuttlefish stew which is presented by title of delicacy. Dainty feeders should definitely sample it. Furthermore, the fish and seafood-based dishes one can taste in Grado can also be made of sardines, clams, sole and eel. This entire array of fish specialties is commonly accompanied by polenta, a maize flour dish which enhances the flavor and the consistency of a meal. Polenta is, it too, of peasant origins, but it stands as a gastronomic challenge which should not be overlooked. As if to highlight the uniqueness of their traditional cuisine, locals of Grado often spice their dishes with a rare species of asparagus. The Fossalon asparagus is so prized in Grado that an entire event is dedicated to it, namely, the Asparagus Fair (Mostra degli Asparagi), an annual fair held between late April and early May. This species of white asparagus excels by its smoothness and ability to accompany and to be used to a large range of fish and seafood dishes. No fully gratifying meal is complete without washing it down with a fine quality wine. The surroundings of Grado are famed for their white wine production. Some tend to believe the best white wines in the world come from this region, but in order to convince themselves, both connoisseurs and mere amateurs should go and try some of the rich offer of Friuli Venezia Giulia. Regional red wines are also available for tourist heading for Grado. Grado is located close to 8 DOC areas (Denomination of Controlled Origin), but the wines of Collio, Carso, Aquileia, Annia and Isonzo should be kept in mind since they come from immediately neighboring areas. But, without a doubt, wines produced in Colli Orientali, in Latisana or Grave should be readily available for people spending their vacation in Grado who want to experience as much as possible of the tempting diversity of the wines produced in the region. Tocai, Pinot Bianco, Pinot Grigio, Vitovska, Ribolla are some of the most prized white wines, whereas Pignolo, Merlot and Refosco are recommended for people with a penchant for the heartiness of the red delight. Taking into account Grado features such an interesting cuisine which is always thrilling to explore, one should better choose the top restaurants in Grado where eating turns into a genuinely rich experience able to highlight what is best and unique in Grado from a gastronomic point of view. Agli Artisti is located in the historical center of Grado, and it takes pride in being one of the best restaurants in Grado where the spirit of the local cuisine is strictly observed and complemented by the elegant atmosphere of the restaurant. In order to be able to appreciate the culinary artfulness of the chef, tourists are advised to try the fish specialties proudly featured in the menu. Al Canevon is located in the historical center of Grado. Besides the famed boreto, always recommendable as novelty for newcomers, but not only, the cooks are skilled in preparing all sorts of dishes pertaining to both regional and international cuisines. The best wines of Colli are recommended for accompanying the food. In addition to all that, the restaurant is available to organize a large range of private events. Trattoria De Toni specializes in fish dishes. It boasts of maintaining an unshaken observance of traditional cuisine, which is always nice to envisage by tourists who want to sample local specialties at their best. Trattoria alla Borsa focuses, it too, on traditional cuisine, but a special emphasis is laid on pasta dishes. This is an elegant eatery where both romantic and business dinners can be planned, in the all-tempting world of local flavors. 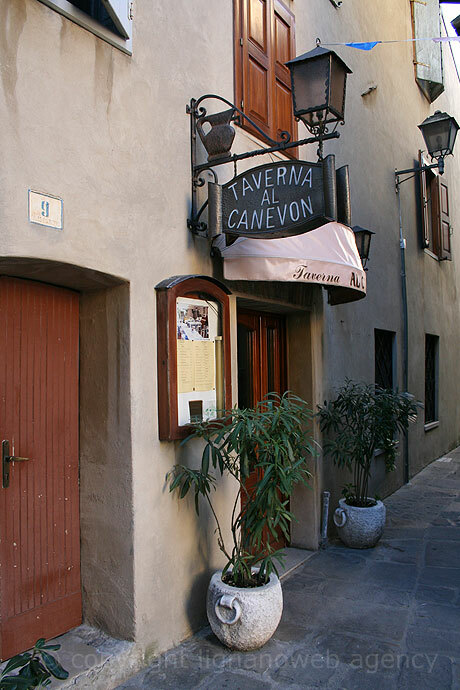 Tavernetta all’Androna is one exquisite eatery which welcomes its guests with a fair range of seafood dishes. The rusticated decorative elements of this eatery yield an atmosphere of coziness and intimacy which invites clients to relax and feel like home while exploring the tastes and flavors of the rich plates served at Tavernetta all’Androna. 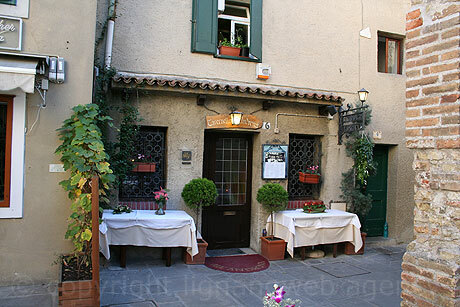 Ristorante da Ovidio is, it too, located in the historical center of Grado. It invites clients to discover the climaxes of local and regional cuisine, while making recommendations on what wines accommodate best with a certain type of dish. Pasta, fish and seafood are the highlights of the dishes clients can sample at Ristorante da Ovidio. This is an elegant and yet intimate eatery all tourists in search of gastronomic experiences should visit.